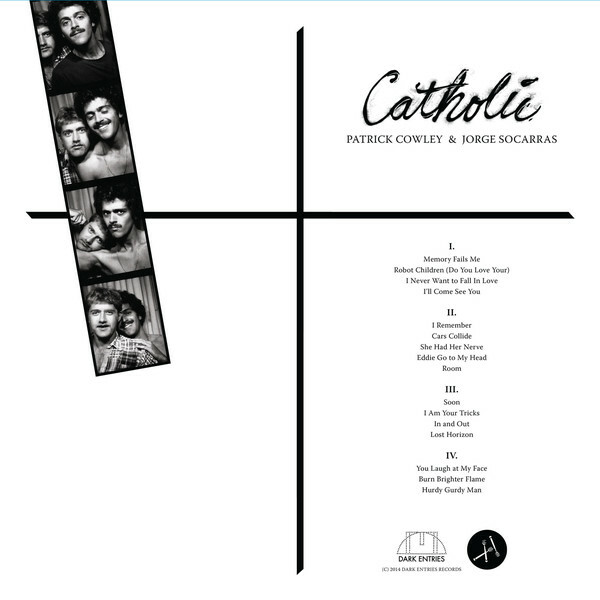 Dark Entries and Honey Soundsystem have teamed up to release “Catholic”, the lost opus of disco pioneer Patrick Cowley and Indoor Life vocalist Jorge Socarras. Perhaps one of the most revolutionary and influential people in the canon of disco music, Cowley created his own brand of Hi-NRG dance music, “The San Francisco Sound.” Born in Buffalo, NY on October 19, 1950, Patrick moved to San Francisco at the age of 21. He studied at the City College of San Francisco and met Jorge Socarras in 1973 through mutual friends. 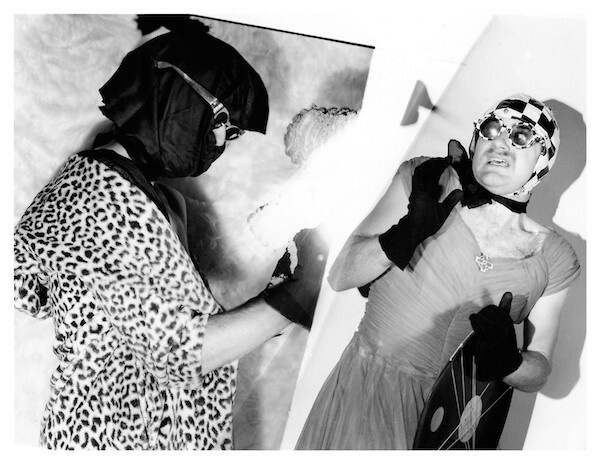 The duo’s first collaboration was a ten-minute trance-inducing epic that Cowley composed for a performance piece by Socarras in 1975. Patrick, who played drums, guitar and keyboards, provided the perfect match for Jorge’s vocal talents. Between 1975 and 1977 they recorded an album’s worth of material before Socarras moved to London and Cowley started playing synthesizers for Sylvester. Upon Jorge’s return to San Francisco in 1979, the duo would re-record some of the “Catholic” songs with Patrick’s newly acquired equipment. Meanwhile, Socarras met the musicians with whom he would form Indoor Life, and in 1980 Patrick co-produced their first album. The “Catholic” album was offered to San Francisco’s Megatone Records who passed on it. Fast forward to 2007 when Honey Soundsystem was contacted by John Hedges, former co-owner of Megatone Records. Hedges’ was moving to Palm Springs and invited the crew over to his basement to collect over 2,000 records from his collection. Among the archives were three moldy boxes of quarter inch reel to reel tapes featuring unreleased music by Cowley, including the “Catholic” material. The reel was passed on to Stefan Goldmann of Macro Recordings in Berlin who was able to track down Jorge Socarras and clear the rights. “Catholic” was finally released on CD in 2009. “Catholic” is a genre-bending concept album that ranges from minimalistic proto-techno to synth-driven post-punk, pre-dating the dance punk acts LCD Soundsystem and The Rapture by almost 30 years. It shows a much broader range than any Cowley or Socarras material available and gives a totally new perspective to one of the most inspiring eras in music history. Influenced by Tomita, Wendy Carlos, the Velvet Underground, and Roxy Music, “Catholic” prefigures acts like Talking Heads, Units, The Human League or Chris & Cosey. Patrick forges a unique electronic sound from his collection of synthesizers, modified guitars, and self-constructed equipment while Jorge’s vocals go from hypnotic to camp, singing about gay love juju and tackling classics by Donovan and Stoller & Leiber. Featuring over 80 minutes of music never before released on vinyl, this compilation contains two bonus tracks not featured on the CD release. The tapes were meticulously restored by mastering guru Rashad Becker at D+M in Berlin, then remastered for vinyl by George Horn at Fantasy Studios in Berkeley, CA. The vinyl comes housed in a glossy dual pocket gatefold featuring the intended album cover from the original “Catholic” photo shoot in 1979, and the original hand-lettering by Arch Connelly aka A. Style intended for the first 45rpm single. Inside the gatefold sleeve contains lyrics and an essay from Jorge Socarras. For the 32nd anniversary of Patrick’s death, Dark Entries and Honey Soundsystem present a glimpse into the minds of these two geniuses. These recordings shine a new light on the experimental side of a disco legend who was taken too soon. All proceeds from “Catholic” will be donated to the San Francisco AIDS Housing Alliance.